Hydrogen sulfide is a colorless and toxic gas often referred to as "sewer gas" as it is frequently produced as a result of the breakdown of waste material (Source). It will smell like rotten eggs- and occurs in the home often times because of faulty plumbing, with sewer drains containing dry traps allowing hydrogen sulfide to infiltrate the residence (Source). If you are exposed to lower levels and concentrations of hydrogen sulfide, you may experience a sore throat, cough, shortness of breath, i.e. eye irritation and fluid in your lungs. Exposure to high levels of hydrogen sulfide can cause you or a loved one to die after just a few inhalations! Hydrogen sulfide detectors, and in general single-gas detectors, are tools that can detect and alert you to dangerous levels of gases, including hydrogen sulfide, in the air through visual, auditory and vibratory alarms. The 5.6 oz., BW Technologies portable hydrogen sulfide monitor is our top pick- It is a handheld and portable single-gas detector that employs electrical chemical sensors to monitor hydrogen sulfide levels for up to two years at a time without recharging or replacing the batteries. It arrives with factory settings that will alert you when hydrogen sulfide reaches 10 ppm and a higher a lot that alerts you when it reaches 15 ppm. It includes an audible alarm, a visual alarm that flashes and a vibrating alarm- effectively covering all of the bases. The unit also self-tests its own lithium battery every two hours to ensuring that the power supply isn't dying. Let's take a look at five of the best-selling hydrogen sulfide monitors on the market today and examine how they compare. This portable hydrogen sulfide monitor is made by BW Technologies and is constructed in the US. It is designed to alert a low alarm condition when the level of hydrogen sulfide gets near 10 parts per million and has a high alarm condition when it reaches 15 parts per million. A lot of buyers like the two-alarm system with the low alarm giving an audible beep once and then a visual flash and then the portable hydrogen sulfide monitor will vibrate once per second. When it is in the high alarm condition the alarm beeps twice, it flashes twice, and then the system vibrates twice per second making it very easy for users to distinguish between the two types of alarms. Reviewers like the alphanumeric LCD screen this portable hydrogen sulfide monitor has and the fact that it also can be adjusted by users to show the different gas levels that are monitored. 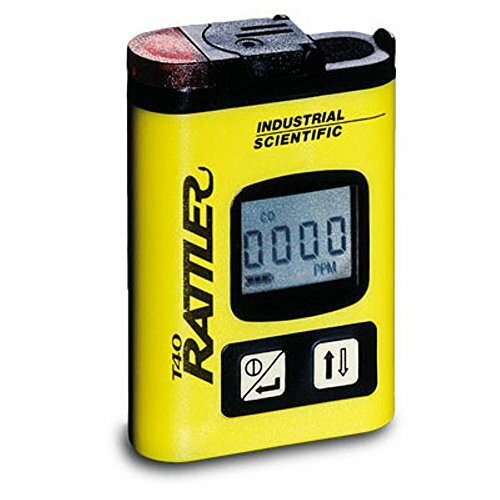 This portable hydrogen sulfide monitor is a useful gas detector to use as a safety device that helps to detect different toxic, flammable and combustible gases where users might be working or living. Most users really like its ability to calibrate itself every 22 hours by just one push of a button. 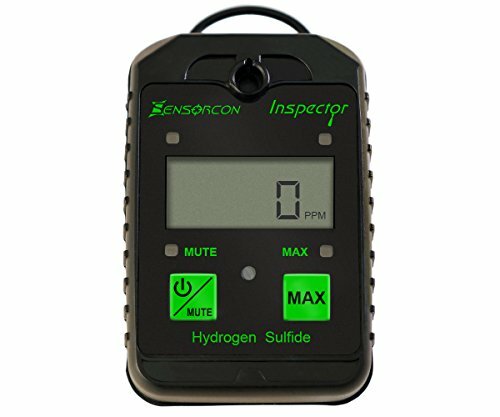 This portable hydrogen sulfide monitor by Sensorcon can be used just about anywhere. One of the features that stands out the most for its users is that it is waterproof and made in the USA. This portable hydrogen sulfide monitor can measure H2S from 1ppm to 400ppm, which is something many buyers like because it gives them a lot more room for safety. Another key feature users like about this portable hydrogen sulfide monitor is that it has a pretty quick initial response time of 5 seconds or less when dangerous gases have been picked up on. Buyers also like how durable this portable hydrogen sulfide monitor is and that it is both dust proof and waterproof which ensures that it can work under most any situations. They also like that it is lightweight and comes with a steel alligator clip that you can hang on your shirt, belt or a lanyard for easy transporting. The Biosystems ToxiPro is a portable hydrogen sulfide monitor that is built to protect your family or your business’ safety. One important feature that users like about this portable hydrogen sulfide monitor is that it has three visual alarm windows that come with a standard and high visibility alarm colors. There is yellow which serves as an early warning and then red which signals danger. These LED alarms flash and make it very difficult not to notice. The IQ Management System is a unique feature many users like because it will provide automated email alerts to users and their entire group letting them know instantly what kinds of alarms are happening and with its customizable settings the users can set the portable hydrogen sulfide monitor to announce the alarms that are most important to the users. One more feature that users like is that this portable hydrogen sulfide monitor will even let other users know who has the alarm that is going off, making it easier to find the person in case they are in need of help. This portable hydrogen sulfide monitor by Docooler is a handheld monitor that detects various levels of hydrogen sulfide and it can also measure the temperature in real time, which is a nice feature that many users enjoy. This portable hydrogen sulfide monitor will continuously monitor the concentration of hydrogen sulfide in a user’s surrounding environment. It has a good alert system that includes sound, vibrations, and lights and instantly alerts users when concentrations get to a certain level, a feature that many users appreciate. The alarms can be set for as low as 10ppm and the high setting when it gets 15ppm. Users like the LCD display because it has a nice backlight that makes it very easy to read. They also like how lightweight and compact this portable hydrogen sulfide monitor is because it makes it easier to carry and to use. This portable hydrogen sulfide monitor is made by Industrial Scientific and is a relatively low cost and maintenance-free monitor that many users like because it can not only detect hydrogen sulfide but it also alerts users to carbon monoxide gas exposure. Even though this is a very compact portable hydrogen sulfide monitor, its users feel it works just as well as other larger models. They like the fact that even though this portable hydrogen sulfide monitor is much smaller than others it still has features like the bigger ones. It has a big liquid crystal display, has an internal vibrating alarm that also includes sound and visual alarms and one feature many users like is that it has a one push button operation making it simple, quick and easy to use. This portable hydrogen sulfide monitor also has alarm set points that can be adjusted and users can calibrate gas values and can choose text-only display if they wish. 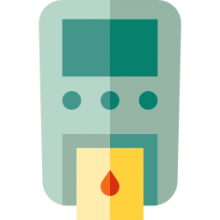 Another popular feature is that this portable hydrogen sulfide monitor can give readings to show the highest readings during a particular users’ work shift. Hydrogen sulfide monitors are a class of safety-device gas detectors that examine the environment and air for different combustible, toxic and flammable gases- and are also equipped to analyze decreases in the environment's ambient oxygen. While we have examined portable gas detectors, they are also stationary models that might be a bit more powerful. These different types of gas detectors utilize different styles of detection- including point infrared, catalytic, semi conductor, electro-chemical, thermal path conductor as well as paper tape detection method. The way they work, is that the electrochemical sensor, in the case of the BW Technologies hydrogen sulfide monitor, examines the air and when dangerous gas concentrations go over a pre-defined limit, the alarm is activated, which then alerts the homeowner or business owner to potentially dangerous toxins in the air. A useful feature of the BW Technologies sulfide monitor is that it will alert you to the level of airborne danger- with different alarms configured to notify you if the risk is low or if it is a high-risk, air toxicity situation. It is interesting to note that hydrogen sulfide is naturally present in volcanic gases, hot springs, crude petroleum and natural gas- occurring in home and business environments where it is frequently the result of a breakdown in plumbing systems and occurring as a bacterial-breakdown result of animal and human waste degeneration. As we have previously examined, hydrogen sulfide can have a range of negative effects on your health, from lower-level exposures producing eye irritation and shortness of breath to higher concentration exposures resulting in a speedy death. Another risk factor for hydrogen sulfide exposure that many people aren't fully aware of is if you and your family live near a livestock farming operation, or some sort of oil and sewage treatment refining industry- your neighborhood may be exposed to industrial hydrogen sulfide that flows into the air from these facilities. Purchasing a hydrogen sulfide detector can help alert you if your home and business are exposed to toxic levels of the gas in the air. It's important to ensure that your plumbing systems are up-to-date-examining fixtures and pipelines routinely, and ensuring that maintenance is performed on them to prevent the buildup of dangerous gases. As well, if your neighborhood is exposed to dangerous industrial emissions, whenever the concentrations in the air are high, make sure that you go inside and shut the windows- you may also want to avoid exercising in areas that are prone to high levels of hydrogen sulfide. All of that said, gas detectors, especially portable ones, are a convenient solution that have a variety of governmental and industrial applications, as well. 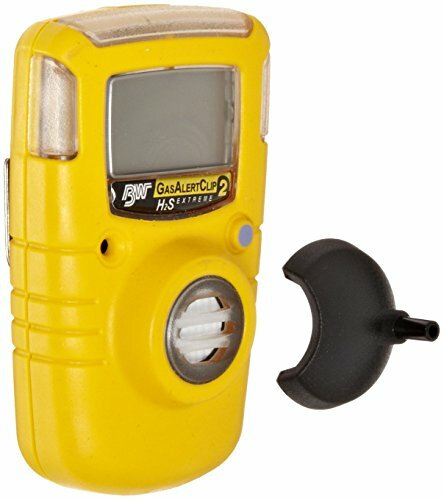 Many professionals who work in construction, petroleum refineries, paper mills, tanneries, fire and rescue services- all of them are at risk for exposure to dangerous and toxic gases in the air and frequently utilize these different styles of gas detectors to ensure that their exposure doesn't cross a dangerous threshold. If you are interested in purchasing a hydrogen sulfide detector-remember to perform periodic maintenance on the device to ensure that the battery is working well, that is effectively calibrated, and be sure to run frequent tests on it- you do not want your detector to break down and potentially miss a dangerous airborne gas.